Fighter would like to try himself as an anchor or a sportscaster. The U.S. boxer Roy Jones Jr. has said that he would like to work on Russia's TV channel Zvezda, the channel's official website reported on Sept. 7. According to Jones, he could try himself as an anchor or the sportscaster without any problems. "I'd like to work on TV and I am a TV guy. My face, my body and my language are made for television. I can help people, give them advice, give people a chance to do everything themselves and to be creative", the boxer explained. 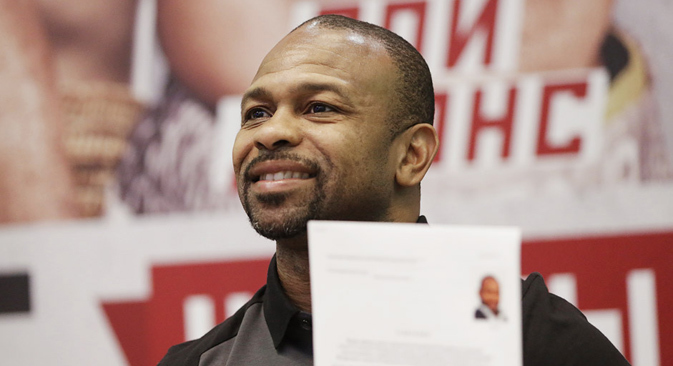 Roy Jones Jr. filed an application for Russian citizenship in Yalta on Aug. 20.